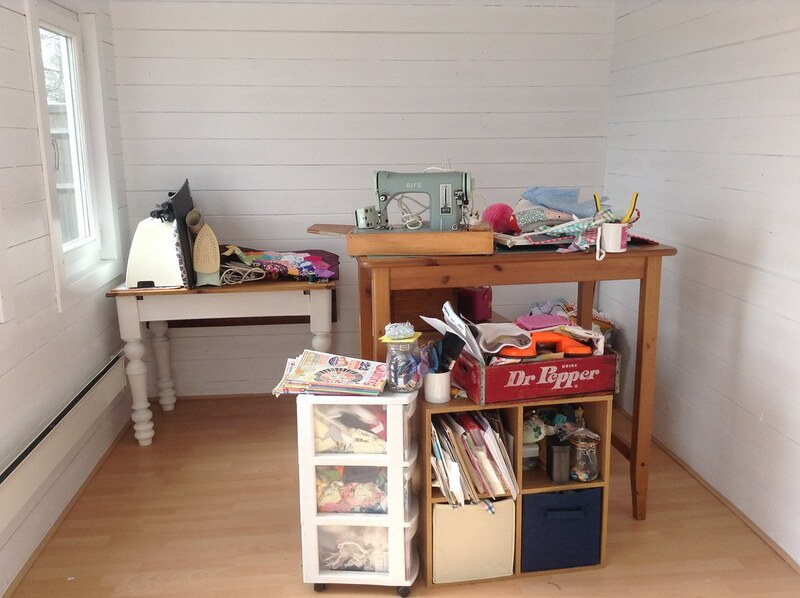 Over the Easter holidays we’ve been doing a much needed makeover of my She Shed. Although it was only built two years ago, it was decorated it in a bit of a hurry so we could sleep in it while the builders were doing work on our house and the paint job inside was never actually finished. Added to this being a wooden building it has moved and expanded since it was installed, leaving unpainted gaps between some of the planks. I also made the rather misguided decision to white wash the interior rather than paint it properly which meant (as you would expect) that it didn’t give a particularly “white” finish. First of all a little refresher of life at our home in spring 2014. This is a time lapse video of the cabin build which I have only just got round to uploading to youtube. It gives you a pretty good idea of how tight the schedule was to decorate it. The scaffolding on the house gets bigger as the cabin grows and we were under pressure to move out of our home! The cabin did a great job serving as our temporary accommodation four four and a half months. Towards the end of July, we were finally able to move out and into the finished house and then I moved all my sewing stuff in. There wasn’t much of a plan and it was a case of sticking the furniture I had wherever it fitted. Two years on and it’s time to redecorate and rethink the layout. In the photo below you can see that the patchy white wash, unfinished door and how the wood had expanded to leave unpainted gaps between the planks. So out came the Dulux satin wood and the painting began! It was actually quite a big job as I had to go over all the gaps between the planks filling them with paint before I used a roller on each plank individually. Jim came in at the end and did the bits of the ceiling I couldn’t reach (he has an extra 8 inches on me). Fortunately the painting coincided with a particularly exciting bit in the Archers so I had something good to listen to! The transformation was immediate and I could actually see the light inside changing as I applied the white paint, it got brighter by the minute. 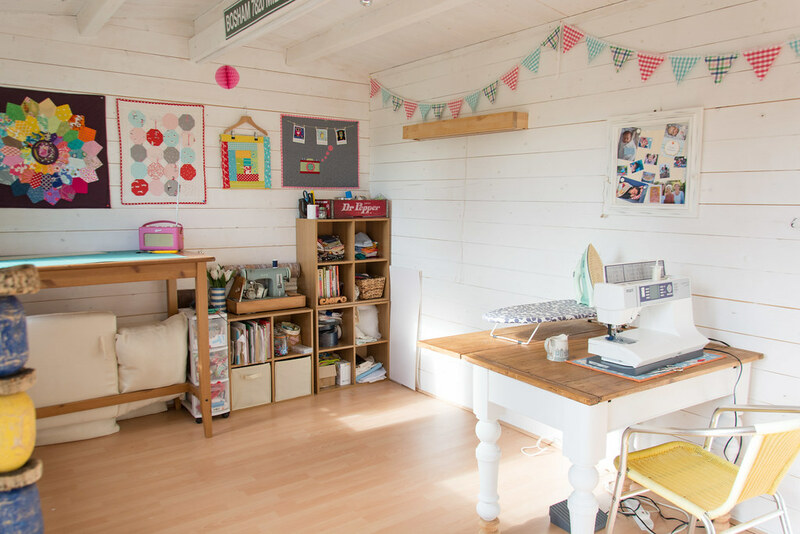 Now that the decorating is done, there are a few things I want to change about the layout including building a 2.5 metre work bench across one end of the cabin to keep all the sewing stuff together and installing a mini photo studio which will double up as a projector screen. We’ve been momentarily sidetracked by sorting the garden out over the last few days, but follow me on Bloglovin if you don’t want to miss out on seeing the finished space in the next couple of weeks.